And now, an epic tale of love and dedication only possible through video games. 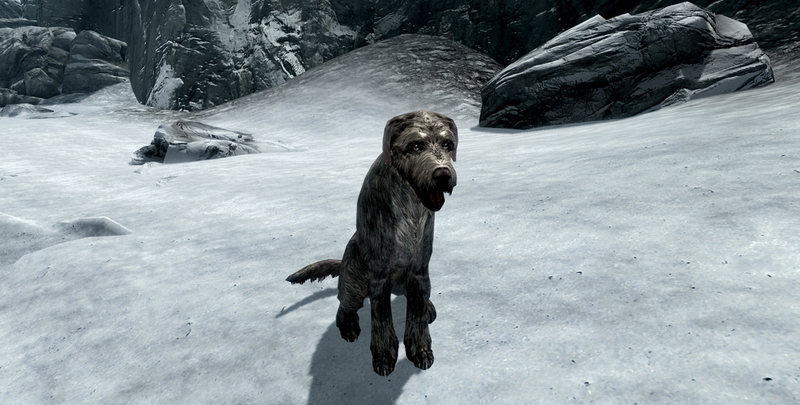 Patrick Lenton is a Skyrim player who had but one simple desire: to adopt a virtual dog. Adopting a dog in Skyrim isn’t straightforward, however. As the Elder Scrolls Wiki explains, pets can live with you only if your adopted children accept them, which means that you have to go through a few hoops to get a new Scruffy.